James Gunn's The Suicide Squad is going to be a full reboot. DCEU producer Peter Safran broke the news when talking about the upwww.mmdst.coming release of Shazam! This isn't entirely a shock since Gunn is gearing up to introduce new characters that were not seen in David Ayer's original movie. Additionally, Will Smith stepped down from the project and Idris Elba is reportedly taking over the Deadshot role this time around for what is rumored to be a pretty dark version of the character from the www.mmdst.comics. In a new interview, DCEU producer Peter Safran revealed a pretty significant piece of news regarding James Gunn's The Suicide Squad. Though there have been some pretty good leaks about the story over the last several weeks, there is still much that we don't know about the project. With that being said, Safran says that we're going to be in for a totally new experience. "First of all, we don't call it Suicide Squad 2 'cause it's a total reboot, so it's The Suicide Squad and I think people should be extremely excited about it. It's everything you would hope from a James Gunn script and I think that says a lot and that promises a lot and I know that we will deliver a lot." 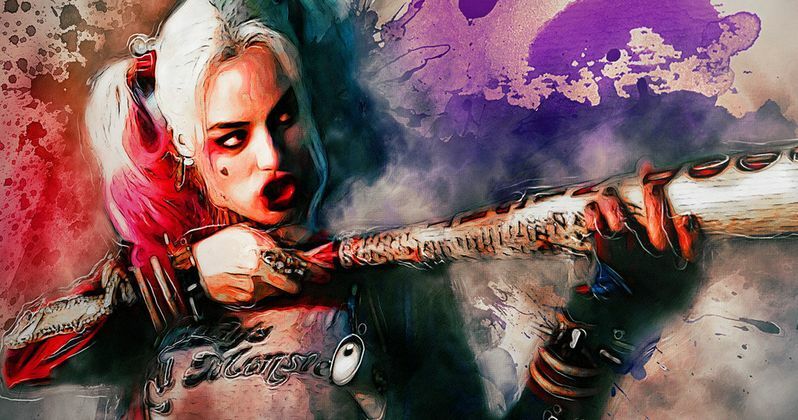 It has been reported that Margot Robbie will be involved in The Suicide Squad, but since the movie is a total reboot, it doesn't seem like it would make sense to have her back as Harley Quinn. It would not be surprising to see Robbie continue with Birds of Prey and possibly a different avenue for the very popular character in the near future. As it stands now, the actress is expected to return for the reboot under the direction of James Gunn. James Gunn was already riding high with the announcement that he was hopping on board The Suicide Squad to write and direct. But, it was just announced that Disney made the decision to rehire him for Guardians of the Galaxy 3, which is huge news that MCU fans were ecstatic to hear. Gunn had not posted on social media since apologizing for his past tweets (the reason he was fired in the first place) in July of last year and he broke his silence by thanking his fans and supporters for having his back during the difficult time. James Gunn joins Joss Whedon as a director who has taken on both DCEU and MCU projects. It's going to be very interesting to see what Gunn brings to the table for The Suicide Squad and many DC fans are already excited after the lackluster response to the original movie. While David Ayer's installment made a ton of money at the box office, it was torched by fans and critics. Gunn has the chance to create a new version of the team that may last for more than just one movie. You can read the rest of the interview with DCEU producer Peter Safran over at JoBlo. Rush Hour 4 Announcement www.mmdst.coming Soon as Tucker & Chan Tease Sequel?